Germs are spread so easily and it is a never ending battle we all wage in our homes and at our offices. Back in the day when I was a corporate girl, once-a-month it was a mandated desk clean off and wipe down for our personal work-spaces as our CEO was a total Germaphobe. I actually looked forward to those days, but I also was pretty astute about cleaning my own space especially my phone and my computer screen as it seemed everyone was always touching both, which made me cringe! While I realized I was in an office space and I owned nothing there, it was still a violation of my cleanliness and I needed to maintain some sanity in reference to germs, so I used wipes and that pacified me. What I really disliked about the wipes we used was the fact that when I cleaned the items, the ‘watery’ residue or the cleaner remained wet for a long time and if I answered the phone(as it was always ringing) my ear wore the results of my Germaphobation(my word)! Carry this a little bit further, the resulting factor in using an antibacterial wipe is that my computer screen would forever remain streaked, even though it was germ free and fingerprint free, it still looked like a window that was never washed and this bothered me. 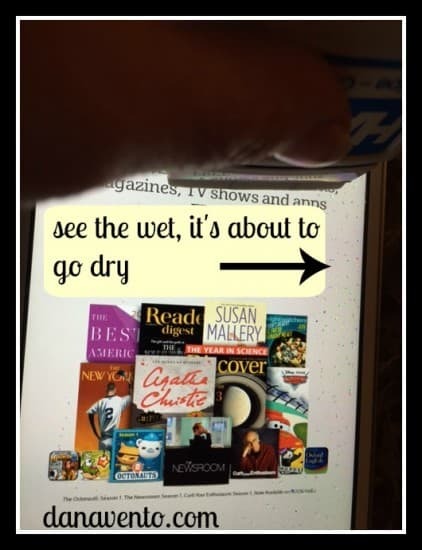 Now as a mom, and a queen of all tech, tablets, GPS systems, phones, eReaders are all part of my life and the germ, fingerprint fighting moves forward into the new realm of the need to swipe clean the dirty tech! Here’s how I lavishly live tech out loud, swipe it clean and treat my stuff with antimicrobial cleaner, are you ready to be a Swipe-Clean person as well? No matter what I do in my life, tech greets me at each turn. 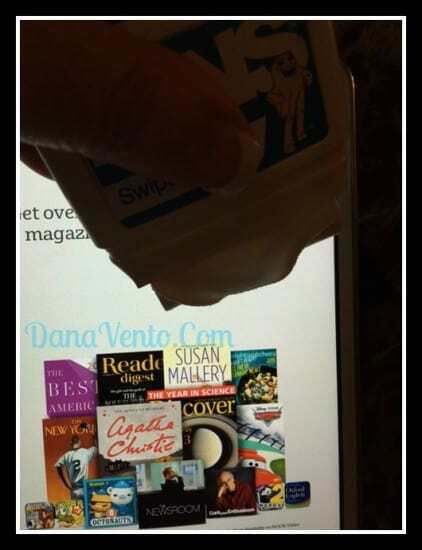 My eReader is something I use each night after I apply hand-cream(as I plan on passing out while reading). I mean after all a girl has her steadfast beauty regime and just because tech is in my hand does not mean I am changing what I am doing! My day is so busy and my iPad, and iPhone are never out of my reach, I am a writer and a social media diva who needs to be glued to the screen 24/7 for updates, so naturally, I just grab my devices at will without much concern for my hands and their dirt, grease, grime, etc. within reason. My kids ‘borrow’ my tablet, and they have their own, but again kids is the operative word, which means, fingers to the mouth, or face, or fresh from eating to the tablet and they don’t think about things twice(don’t cringe, your kids do it to and it does not matter how many times we have begged and pleaded with them to clean their hands before using the readers, tablets and phones it falls on muted ears! Extend the germs a bit further, what about the cases that protect all of the tech that you own? You don’t really believe that they are germ-free do you? 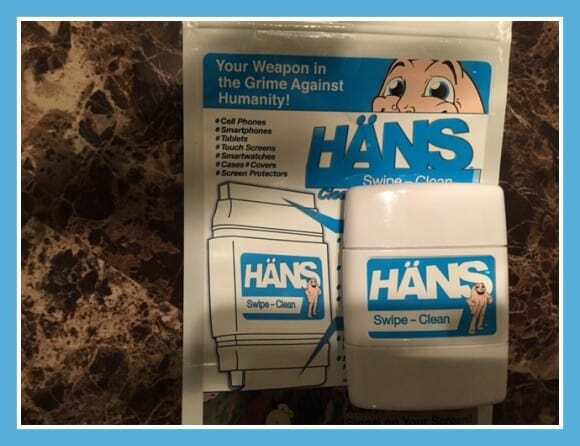 Here’s what I have found to resolve both my Germaphobe issues as well as my clean and clear issues: This is the HÄNS SWIPE-CLEAN(Retailing at only $14.95). The product is revolutionary as far as this diva is concerned! What is it? This is a two-sided, handheld items that has a Microfiber cleaning sheet, which is antimicrobial-treated and safe for all screens and all surfaces(eReaders, tablets, phones, GPS, car stereo systems, Smartphones, Touch Screens, Cases, Screen Protectors, etc.) and when you flip it to the other side it has a five-layer antimicrobial -treated Microfiber Polishing Sheet which takes away the wet that wiped! In other words, the screen does not have the rained on effect, it is clean, no dirty window effect~Yeah, Woot Woot! If you have ever held a flat highlighter, multiply the width of that x2 and that is how small this is. I can hold it in the palm of my hand, or I can place it in my handbag in the small holder next to the cellphone holder. It is as small as a dollar bill folded in half, there is nothing to its size, but its power is mighty as it is a reusable cleaner for electronic devices. The basic phone can be cleaned about 500 times with this. Obviously if you are cleaning tablets that are bigger than a phone screen, you can gauge that the reusability factor would be a bit less. If you run it dry(ugh, don’t let this happen because once you own it you will be lost without it) you can purchase the HÄNS Swipe-Clean Refill for only $9.95. The HÄNS SWIPE-CLEAN consists of two ends, one is the cleaner, the other is the polisher. As aforementioned, you will be able to use and reuse this product, making a must-have. The end that polishes, can actually be washed, as well as wrapped around the block(the part that holds it in) in different variations, which means you will always be using a different piece of the Polishing Microfiber which leads to an outstanding shine and CLEAR screen free of residue. As a Vlogger, Writer, etc., I often show my tech off, whether doing a television segment or working on YouTube and there is nothing less professional looking than an untended piece of tech which you are known for earning a living off of. It is not funny or laughable when you are working with a top news anchor who needs your phone screen to film a piece and when you hand it to them they say, “wow, are all those fingerprints going to show up?” to the camera guy. Embarrassing, cringe, and unprepared… This little item can be with you at all times and if that were ever to happen again, I could have magically cleaned my tech in front of the anchor and well, I would still not be cringing of embarrassment while I am telling this story! See the wetness here- it looks like flecks of snow. In case you did not do the quick math, if you were to use a basic sanitizing wipe(which I would NEVER suggest doing on your tech) you pay over $2.39 for 35 SINGLE use wipes(these are a junkie brand, not even a name brand) that do not offer a polishing side. So, if you were to always use wipes, even at this most minimalistic price at 500 wipes you would have paid, you would need 14 canisters and your cost would exceed $33 and don’t forget a microfiber cloth. Now let’s consider the basic sanitizing wipes again for a moment, and the need to tote that round barreled container around with you every time you think you want to clean your tech, oh that’s just one hot mess right? Now, look at the HÄNS SWIPE-CLEAN, it fits in the palm of your hand and will clean your tech up to 500x(or a bit less depending what devices you clean regularly!). 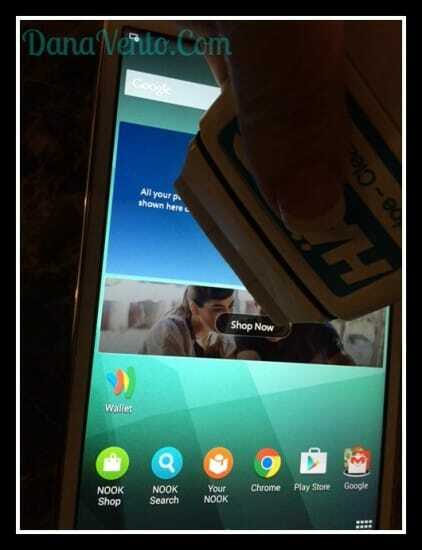 The HÄNS SWIPE-CLEAN is a lavish deal that works well as a cleaning solution for all that tech! 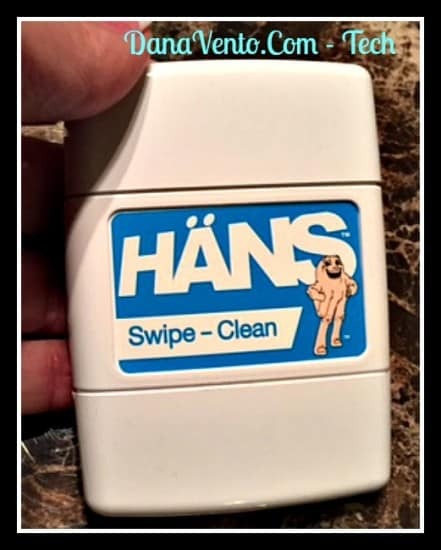 Clean, break down grime, grease, sweat oils, stickiness, cooking spatter, debris, and basic germs easily with a swipe of the HÄNS SWIPE-CLEAN! Keep this little secret weapon in your bag, desk, or pocket so you can make your tech clean on demand. Lavishly live tech out loud, with a HÄNS SWIPE-CLEAN reusable cleaner. This will be your favorite tool in the fight against GRIME! I need to get this because I’m always trying to clean off my technology. It does get very dirty, very quickly. Definitely could use that product right now with the way I am feeling. Definitely do not want to spread germs via the electronic devices we use. I am a germaphobe too. I could especially use Hans Swipe Clean with my crazy 4 year old that will crawl under the table at a restaurant and then touch my iPhone screen and other stuff like that which grosses me out. These are a must-have, especially with young kids.